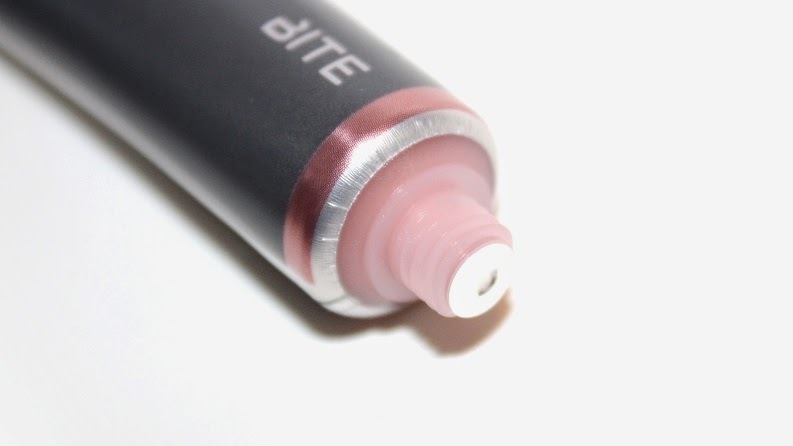 Bite Agave Lip Mask Champagne (0.52 oz) retails for $26 USD ($30 CAD) and is said to be "an innovative lip mask that revives and rehydrates lips using a bio-active blend of healing antioxidants." * Champagne is described as a rose gold pearl. "This lip mask improves the texture of lips so that they’re more hydrated, healthier-looking, soothed, and softer feeling. Infused with organic agave nectar, jojoba oil, and triple the amount of trans-resveratrol—the miracle antioxidant found in red wine—this formula heals and soothes lips." Packaging: Original: ★★★☆☆, Champagne: ★★★★☆ | Original is harder to disperse product. Hydration: Original: ★★★★★, Champagne: ★★★★☆ | Original is more hydrating. Repair: Original: ★★★★★, Champagne: ★★★★☆ | Original is more repairing. Texture: Original: ★★★★★, Champagne: ★★★★☆ | Original is thicker, more tacky. Application: Original: ★★★☆☆, Champagne: ★★★★☆ | Original is slightly more difficult to apply. 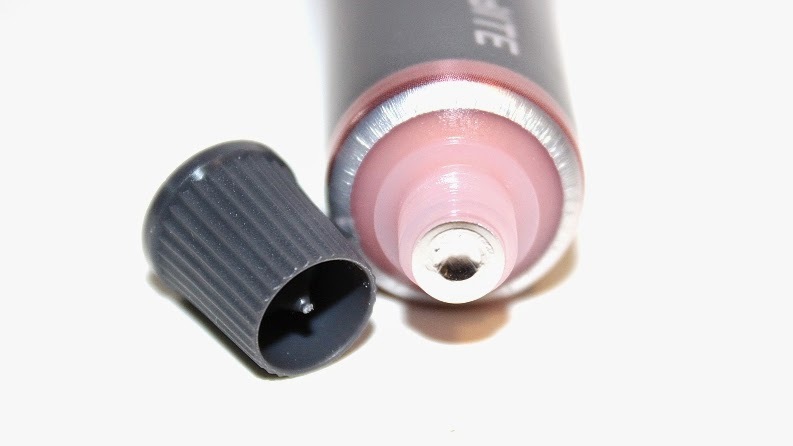 The packaging is a plastic / metal tube with a plastic cap and features a little pointed tip to puncture the tube. It's the same sort of tube you'd find in medical products or paint -- kinda interesting. Nevertheless, it's simple and gets the job done. 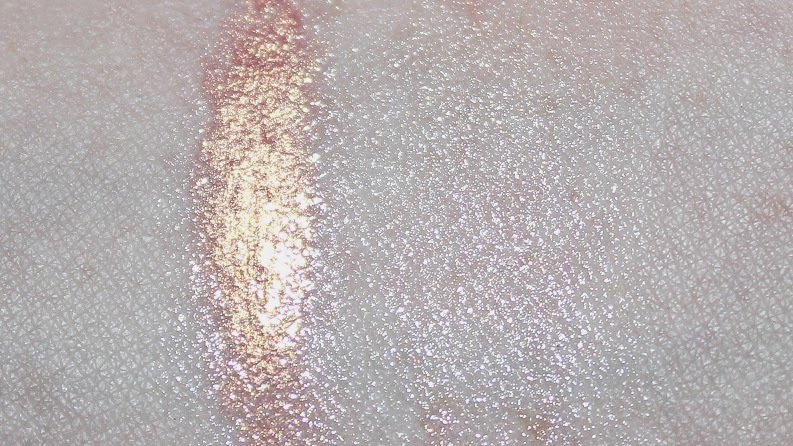 The product straight out of the tube is a metallic peach shade with a golden sheen. The texture is thick but not like the original Agave Lip Mask that was more like a wax. Once applied the product warms up and almost melts into your lips. The formula is slightly thick and almost tacky (hence it being called a mask.) Again, not like the original, Champagne is thinner. You can instantly feel the hydration and your lips are left feeling smooth and moisturized. 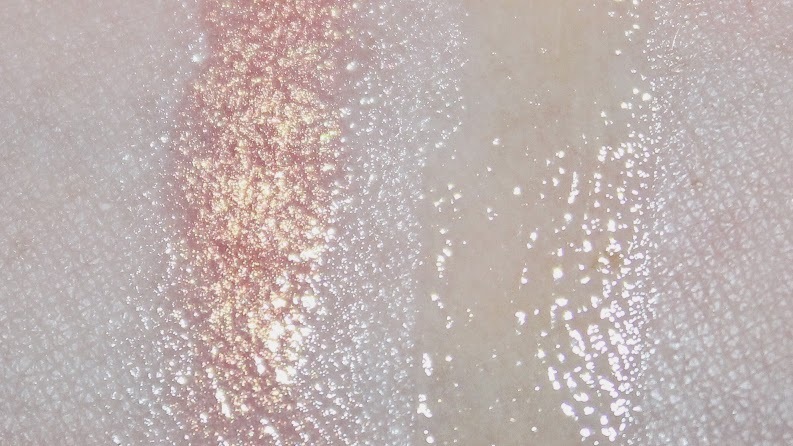 When applied to your lips the product leaves behind a nice, subtle golden shine. There is a slight sweet vanilla scent/flavor -- not like your typical MAC vanilla, but a real vanilla extract which makes sense considering it's an ingredient! 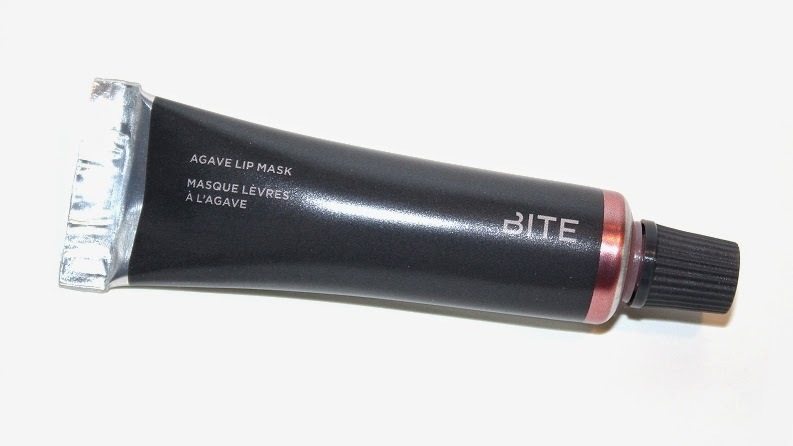 Compared to the original Agave Lip Mask, I felt like Champagne wasn't as repairing, was thinner and didn't last as long. The packaging has improved; the new tube is a lot easier to squeeze, but that may because the product isn't as thick. 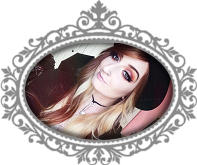 In my opinion, I kind of view the original Agave Lip Mask to be an overnight repair and Champagne to be a throughout the day repair, especially with it's beautiful golden glow! Overall, Champagne improved the dryness and chapped feeling of my lips. It lasted around 4 to 5 hours on me during the day and the entire night when applied before bed. After the product wore off I didn't feel the need to reapply as my lips were left hydrated and smooth. It definitely lives up to its claim. I highly recommend this product to anyone suffering from dry or chapped lips.